Ramada Suites Albany in Auckland's North Shore has opened to strong demad. The first major accommodation development for the North Shore region in more than six years – Ramada Suites Albany, Auckland North Shore – has opened with demand that has outstripped expectations. 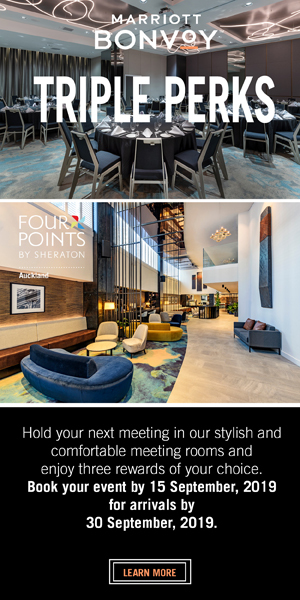 The 66-room property is Wyndham Hotel Group’s fifth new opening in New Zealand in just over two years and offers stylish accommodation in Auckland’s growing North Shore region. All Ramada hotels participate in Wyndham Hotel Group’s award-winning, market-leading rewards program, Wyndham Rewards®. The world’s simplest, most generous hotel loyalty program, members earn a guaranteed 1,000 points with every qualified stay and can redeem a free night at more than 8,000 hotels worldwide for just 15,000 points per night or any of more than 22,000 vacation condos and homes for just 15,000 points per bedroom per night. Learn more or join for free at www.WyndhamRewards.com.